NEPTUNE, New Jersey (WABC) -- Young patients at Jersey Shore University Medical Center were visited by the NJ PBA hockey team. The team donated over $12,000 in toys, gift cards, and assorted crafts to the young patients. For every game played, the team designates a charity. On this particular day, it was Daniela's Wish which provides comfort for children by giving them items that will aide the children in pulling through their condition. 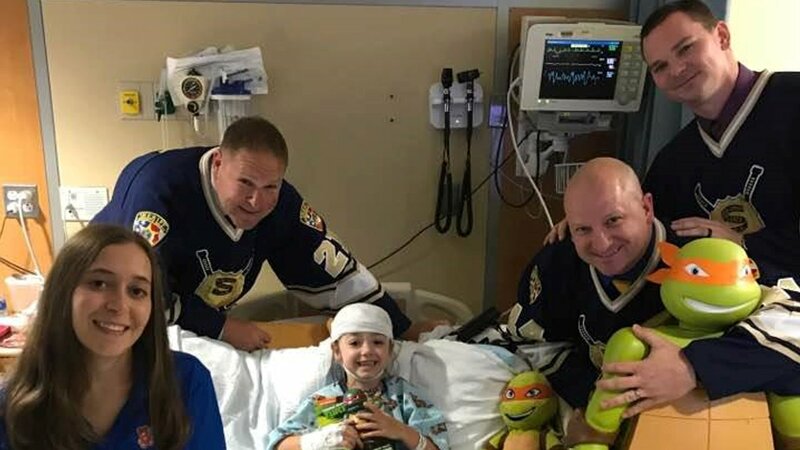 Sheriff's Officer Mike Schulze, Sheriff's Officer Dan Tacopino and New Jersey State Corrections Officer Brian Ocekel participated in bringing smiles to the young patients.